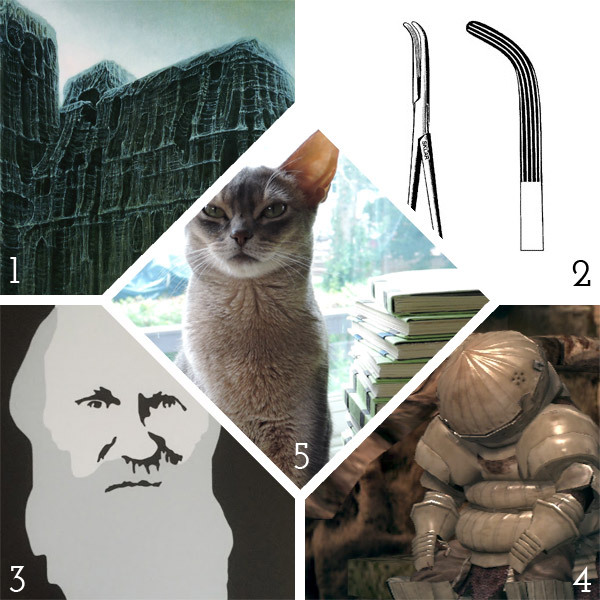 It was so hard to narrow down just 5 pieces from Karen Hanmer’s portfolio to feature during the month of December. So I present this bonus post, which includes 2 additional bindings, to wrap up both Karen’s feature and the interview segment for 2013. Over the Edge: Death in Grand Canyon (by Thomas M. Myers and Michael P. Ghiglieri) may be the reason why I first began to admire Karen Hanmer’s work and how I fell in love with the lacunose technique. 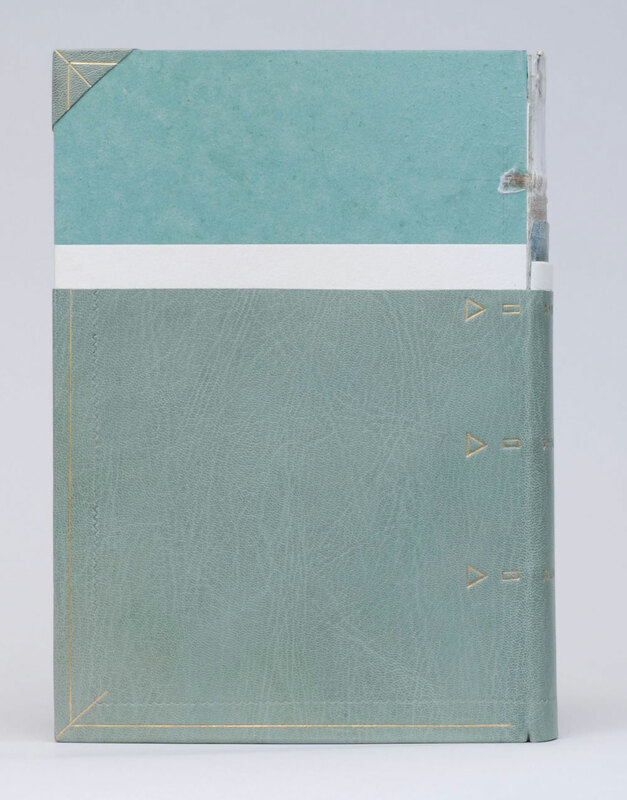 This French-style fine binding is covered in full goatskin and features two large goatskin lacunose onlays. 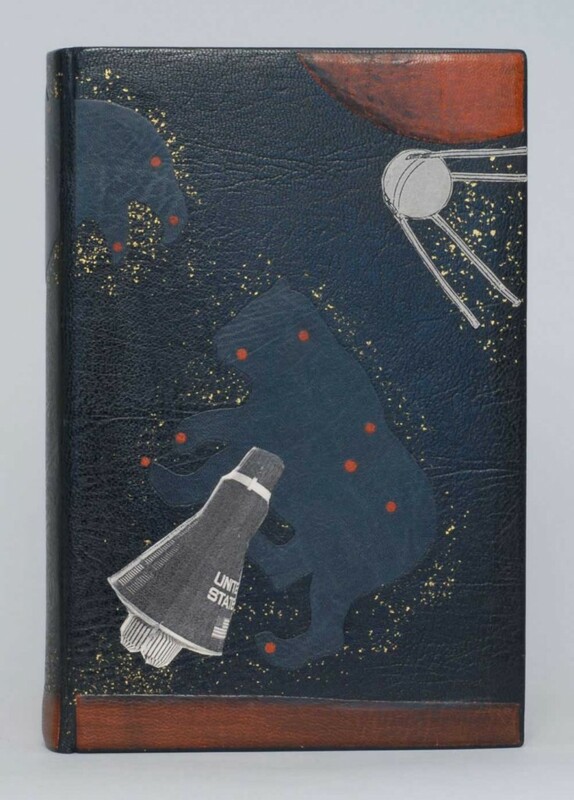 The tumbling figures are tooled in gold using custom brass tools, both on the covers, spine and edge-to-edge doublures, which have left a mirrored impression on the suede flyleaves (which you can see here). 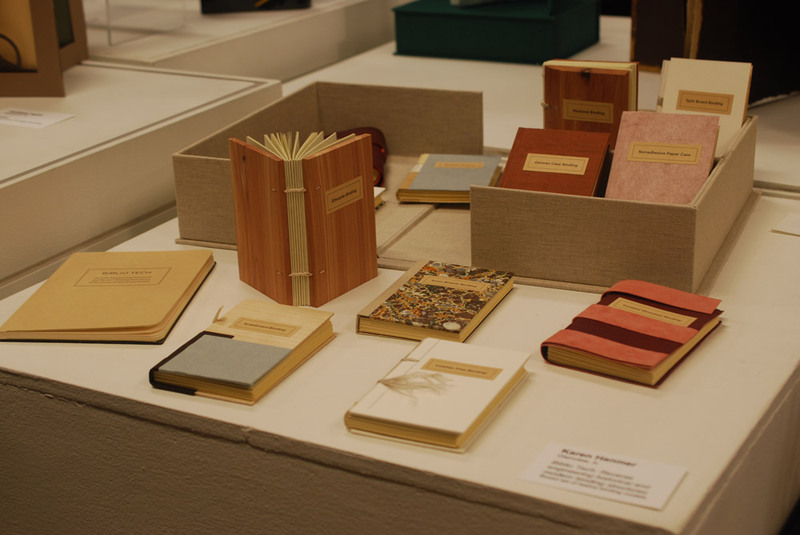 After visiting with Karen in her home bindery, I attended the One Book, Many Interpretations exhibit at the Chicago Public Library in 2011. I had just been treated to handling some of Karen’s earlier works, that I was so awed by her recent fine binding of The Right Stuff by Tom Wolfe. 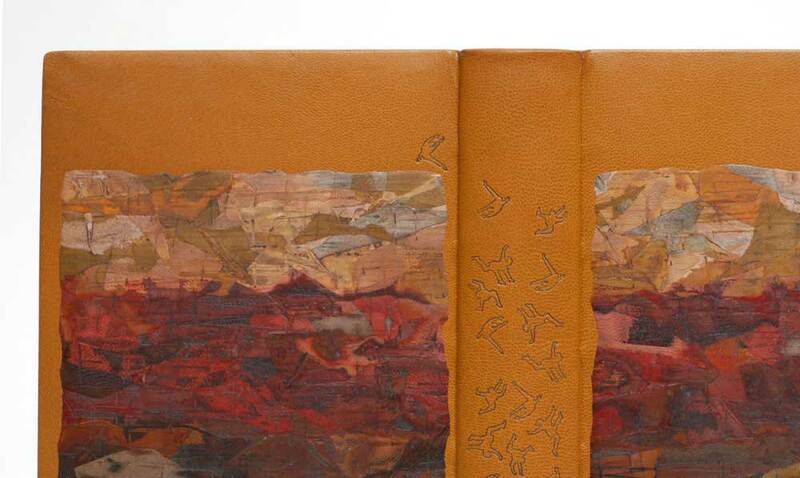 Karen employs so many techniques on this binding, but every part is flawlessly executed into a harmonious composition. 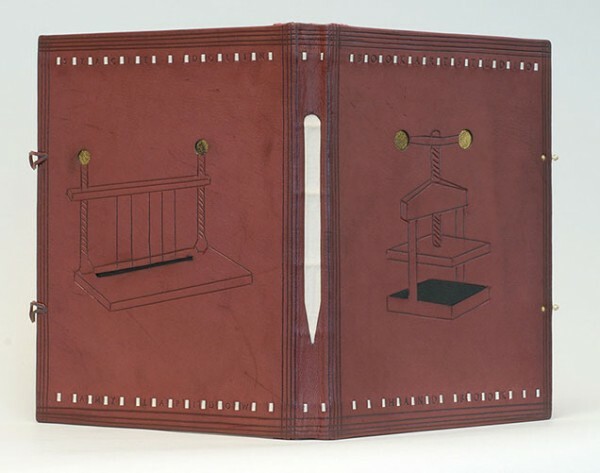 Bound as a French-style fine binding in full goatskin with back-pared and cushioned onlays; some laser-printed. Sprinkled gold leaf creates a cosmic stream across the boards. The edges are decorated with graphite and sprinkled with gold leaf. These two bindings are amongst my favorites within your portfolio. The techniques you employed made for quite striking designs. Can you discuss the lacunose technique and using laser-printed onlays? I don’t draw, paint, airbrush, or do any kind of traditional printmaking, so to get imagery into my designs, I use the computer, or in the case of lacunose, brute force. I saw Paul Delrue present the lacunose technique at the Guild of Book Workers meeting in 2005. Thin bits of leather are adhered to a substrate or directly to the book, sanded, a PVA wash is applied and dried, and the leather is sanded again. More bits of leather can be applied, tooling can add additional texture, and color can be added to the wash to alter the tone. This process is repeated numerous times with finer and finer sandpaper, then finished with beeswax on a cloth. Laser-printing on leather is a technique I learned from Peter Verheyen. Pare leather to onlay thickness, paste it to tissue, dry flat. Print the desired image first onto paper so you can properly position the leather. Place the leather over the image just printed on the paper, and tape down the leading edge. Make a second laser print, this time on the leather. After the print is cool, fix the image with a protective coating. I use Cellugel. Krylon spray will also work, and SC6000 or Renaissance wax will probably work also, but be careful not to rub the toner off the surface as you rub on the protective coating. Then remove the leather from the copier paper and proceed to use the printed leather as an onlay or inlay. I want to thank Karen again for such a wonderful and thoughtful interview! 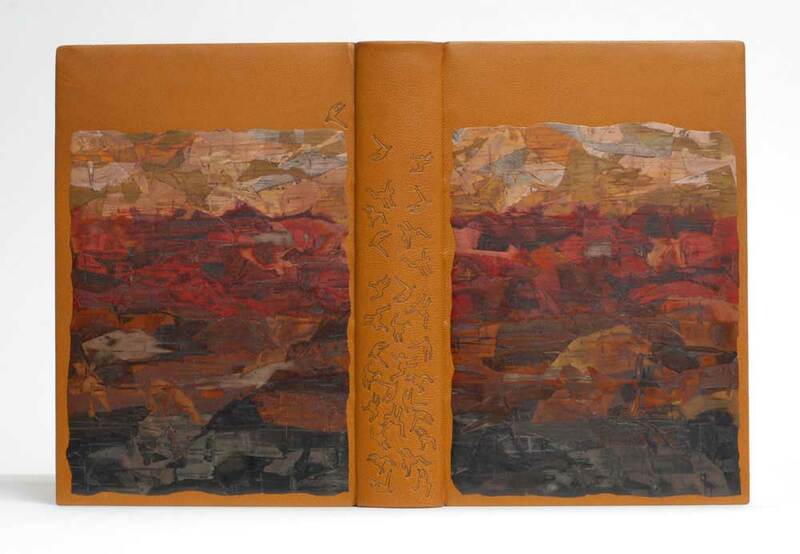 La Couleur du Vent is an exhibition featuring 50 bindings interpreting text of the same title. I previously posted about this exhibition in Sonya Sheat’s interview this past June. 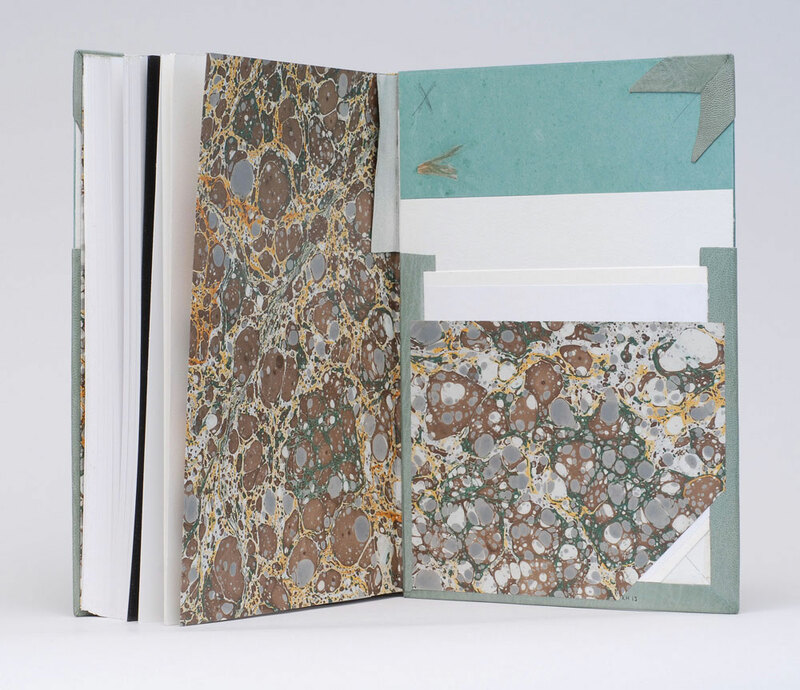 ARA-Canada in partnership with the École Estienne in Paris, organized an international exhibition of bookbinding to be held in both Paris and Canada during 2013 and 2014. 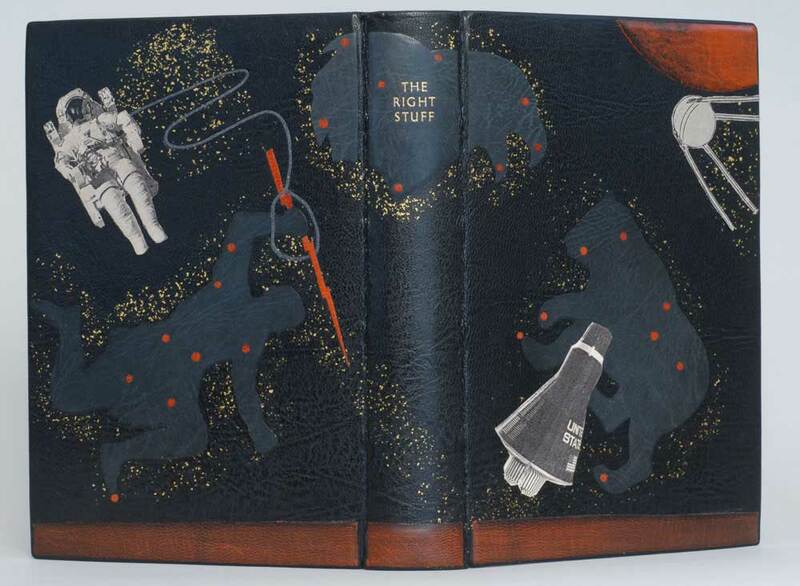 I found Karen Hanmer’s design for the text to be quite striking and unusual from her other fine bindings. The overall design is simplistic, but the arrangement of fine, short lines creates a beautiful texture against the grain of the vibrant yellow leather. 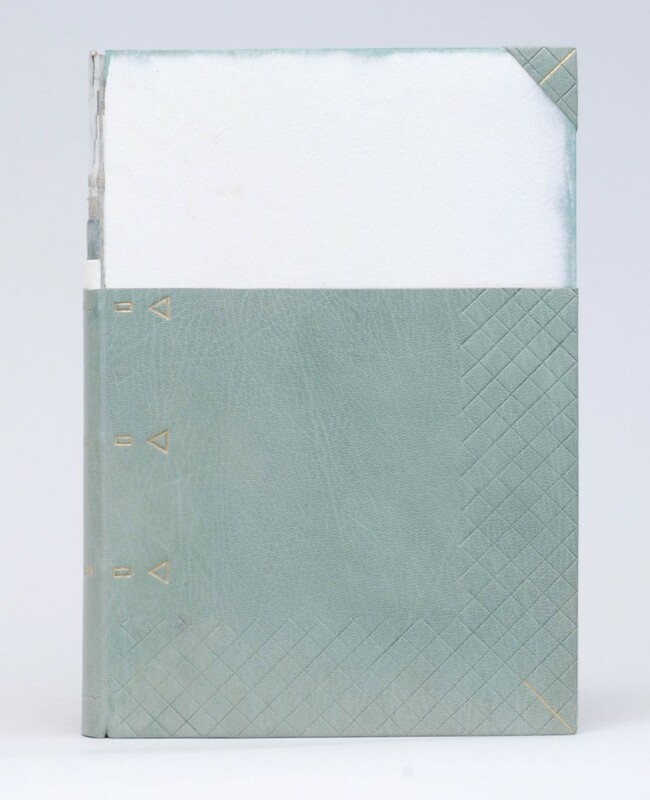 Bound in full goatskin as a traditional French-style fine binding, Karen’s copy of La Couleur du Vent was sewn on flattened cords and the boards are laced-on. The red teardrop is a back-pared onlay, while the other teardrops are tooled using black, gold and red foils. The title is hand tooled using the same colored foils. How did you come to participate in this exhibition? Are you a member of ARA Canada? Yes, I am a member of ARA Canada, and this is the third time I have exhibited with them. Their exhibitions travel in Canada and sometimes in France, and they still produce printed catalogs. Prior to a family vacation I posted on the Book_Arts-l asking for suggestions of things to see in Montreal. Cécile Côté invited us to visit her studio, and I was able to see the text block for this set book exhibit, which was designed, illustrated and printed by an intern under Cécile’s direction. 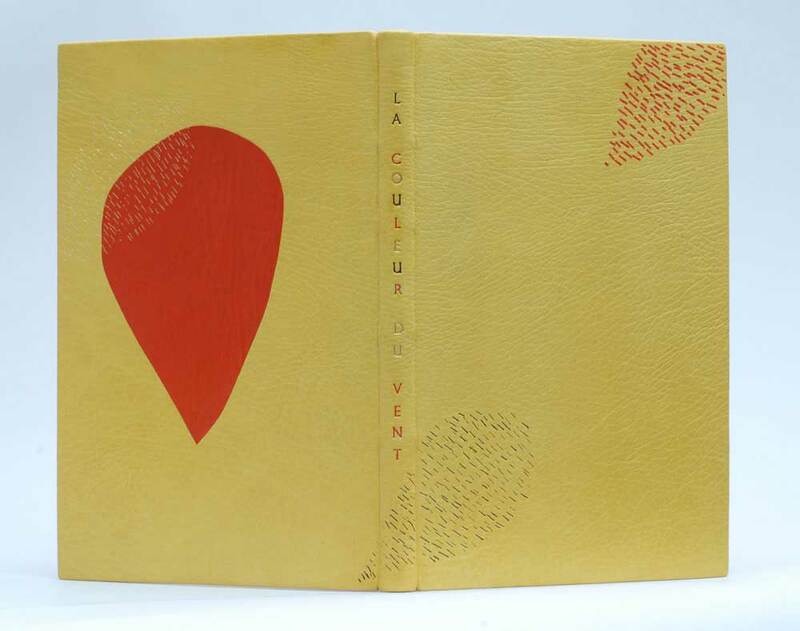 [From the ARA-Canada website: This is a collection of poems by Gilles Vigneault, illustrated and designed by Nastassja Imiolek under the artistic direction of Cécile Côté.] I unable to find a translation of the text, so my design is based on the illustrations, borrowing often-used colors and the repeated teardrop shape and cross-hatching. A painting that hung above the sofa in the childhood home of Karen Hanmer became the inspiration and source material for Fragments of Capri. Taking an object that had become so engrained in the landscape of her surroundings, Karen reproduced the painting full size as several inkjet prints then proceeded to trim the painting down to postcard size pieces. 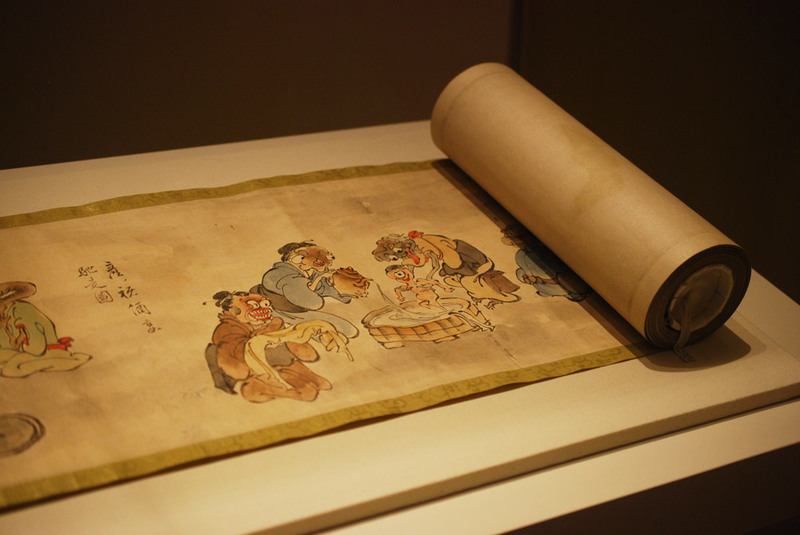 Bound within the pages of this drum leaf structure the viewer is given a disjointed look at the painting. Although each spread creates an appealing and what appears to be finished painting, a sense of belonging quickly creeps into the narrative. 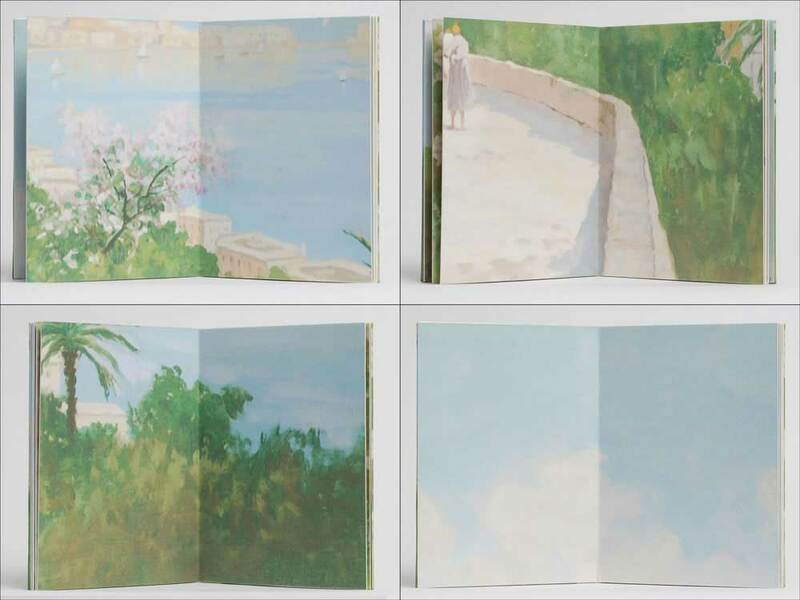 Created in 2011, Fragments of Capri, is an unnumbered edition of 100. Each book is unique in the variation to covers and interior pages. The spine piece is vellum stamped with gold foil. Horizons… Capri is a similar edition where Karen continues to deconstruct and reformat this familiar painting, further fragmenting our memories of the past. Bound in the drum leaf structure with a stamped vellum spine piece, Horizons… Capri was also created in 2011 in an unnumbered edition of 30. 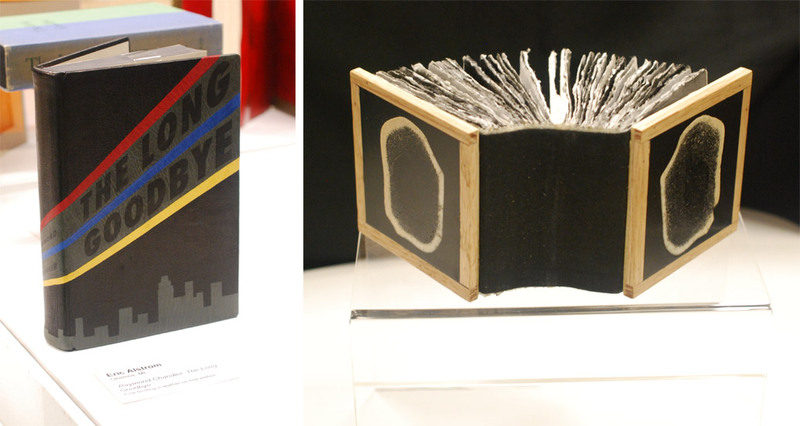 This artist book is currently on display as part of the Guild of Book Workers traveling exhibition: Horizon. I love these two books. The soft edges and pastel colors of the painting are beautifully paired with vellum and a touch of gold foil. Did your initial concept include both books or did one stem from the other? Before I began binding, I photographed my husband’s family painting hanging above the sofa it was commissioned to match. Ever since, I’d wanted to make something with my family’s painting. I was invited to make a piece for an exhibit where the works would be assembled by the viewer. I thought of a puzzle or maybe a cube constructed from a photo of the painting. That fell through, but then a friend asked for a set of 50 of something to include in his Fluxus-inspired journal. I photographed the painting, color-corrected the file to match the original, inkjet-printed several copies life-size, then cut them into postcard-size pieces. Working with these small prints gave me the idea to use the photograph of the painting for books also. I liked the idea of a fragmented walk through the dreamy landscape, and my first idea was to reference a pocket-sized travel-guide. The Guild of Book Workers had announced the theme “Horizon” for their next traveling exhibit, and I realized if I cut the full-size printed photo of the painting into eight long rectangles, each piece would contain an obvious horizon line. I’d been hoping for a chance to use vellum as a spine for a drum leaf or sewn boards edition, and I think the gold stamped title makes the vellum look particularly luminous. 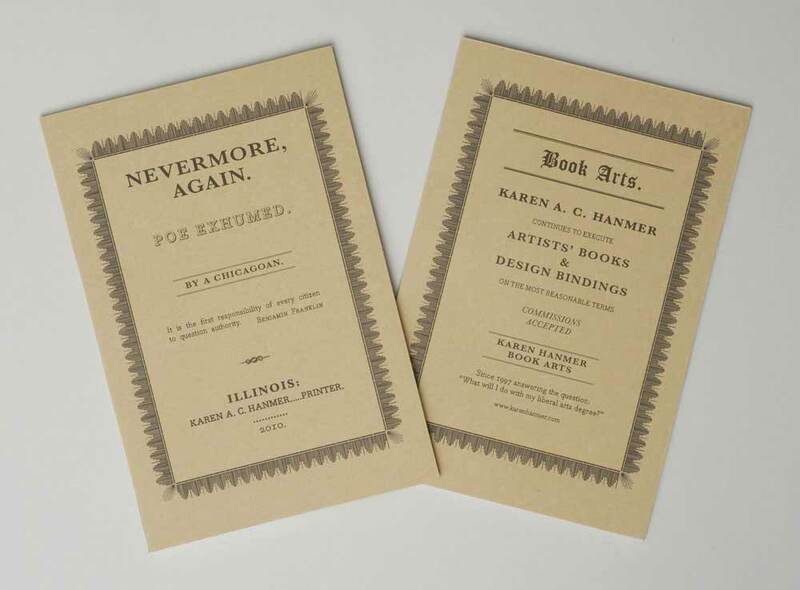 Nevermore Again: Poe Exhumed is an artist book from Karen Hanmer presented in multiple bound formats. The content of the work mirrors the tales of Edgar Allen Poe to contemporary economic and political stories. 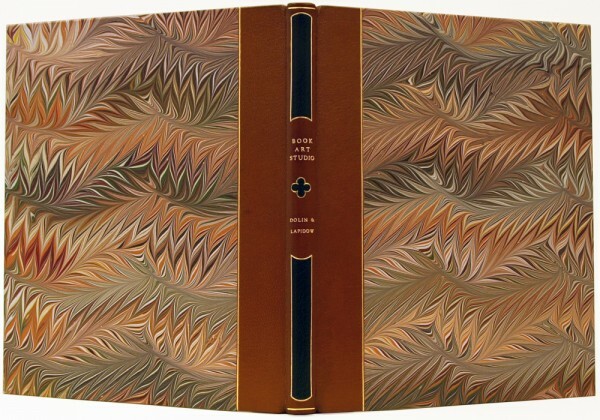 Pictured above on the left is the Deluxe edition which is presented as an early 19th century style publisher’s binding covered in marbled paper by Pamela Smith. 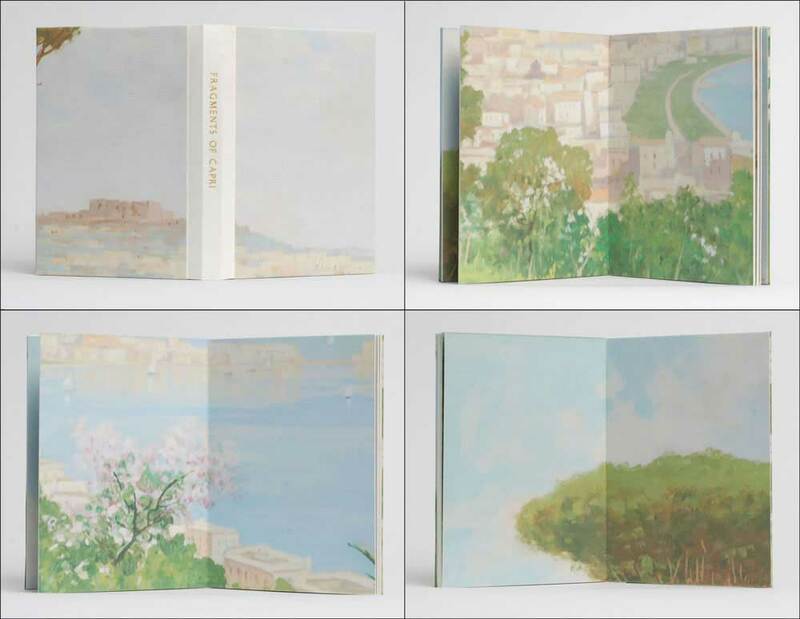 The endpapers incorporate the design of the wrapper from the Standard edition, which is pictured above on the right. Nevermore Again: Poe Exhumed is offered for purchase in several different formats. Why have you chosen to produce this piece in various editions? Have you found one edition to be more successful over another? 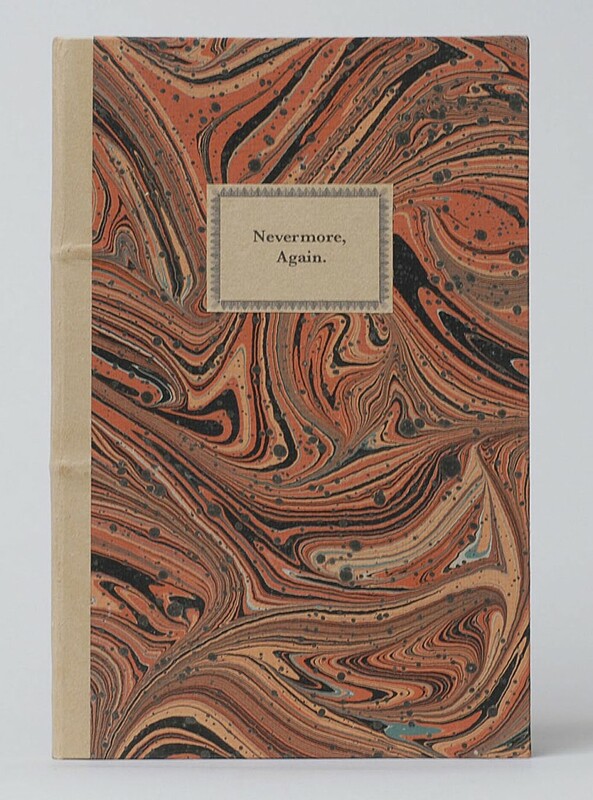 Nevermore, Again is an artists’ book exploring how current events mirror stories written by Edgar Allan Poe. I could not decide between two structures for the binding, so for the first time, I produced a book in several editions. The deluxe edition uses the publishers’ boarded binding I learned from Jeff Peachey. It is historically appropriate for Poe’s era, and I was eager to use this interesting cusp-of-the-industrial-revolution structure in an edition. But as I researched Poe’s bibliography, I became fascinated by Tamerlane and Other Poems, the rare first edition of Poe’s first published work. To make my book more conceptually sound, I decided that in typography, size, and structure the standard edition should be a facsimile of Tamerlane, which was presented in a simple paper wrapper. Olivia Primanis at the Harry Ransom Center sent me detailed measurements of their copy of Tamerlane, and I went to the University of Chicago to examine another in person. The only change I made was sewing through the fold instead of stabbing adjacent to the spine. I wanted my book to open well. 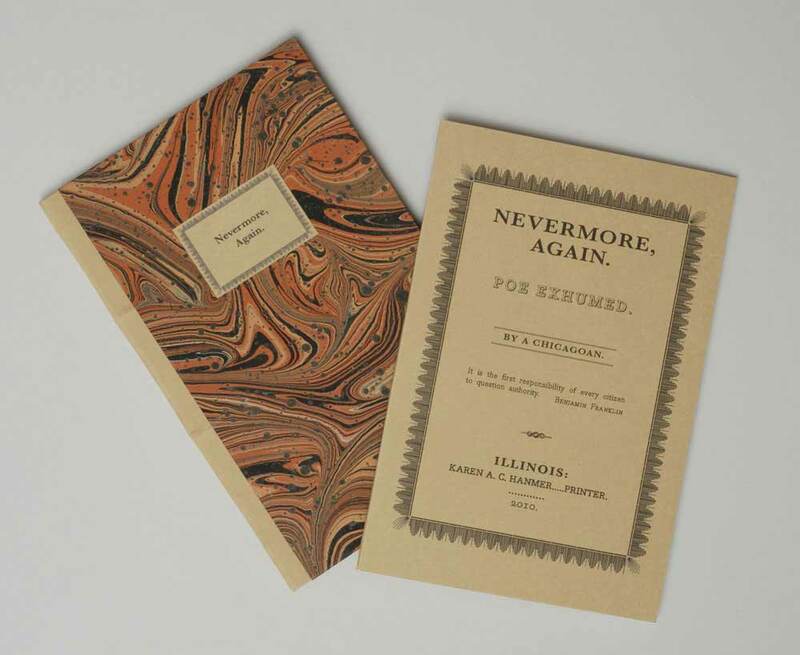 I’m very pleased with the text I wrote for Nevermore, and I wanted it to have readership extending beyond those with a collector’s budget, so I made a laser-printed chapbook version also. I’ve sold many chapbook versions, all but one to individuals. The deluxe edition at $450 has sold significantly more copies than the standard at $275. This surprises me, especially because of pressures on institutional budgets, but I realize that Pam Smith’s marbled paper on the deluxe is hard to resist. 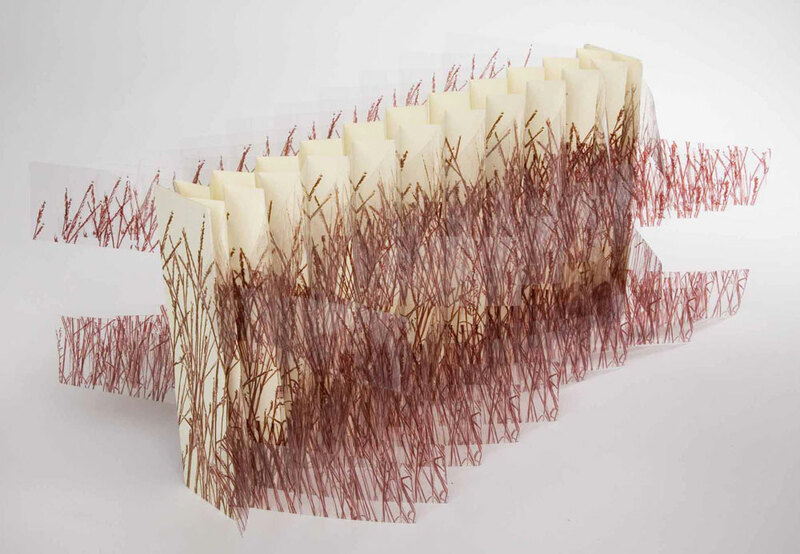 The flag book structure has become a reoccurring model in Karen Hanmer’s work. 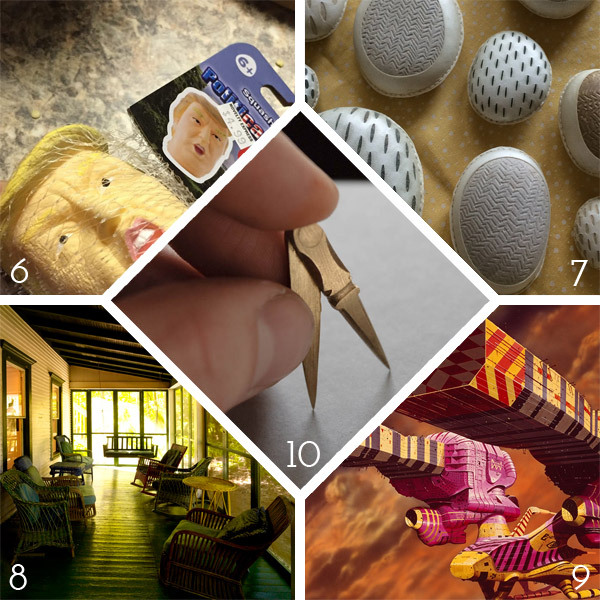 She has quite an eye for transforming flat imagery into interesting movable objects. 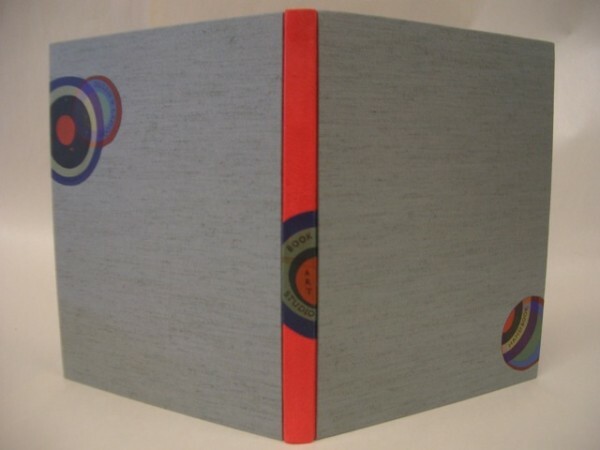 Bluestem was created in 2006 in a small edition of 25, the work is inspired by Willa Cather’s My Antonia and includes a quote printed on the rear panel. 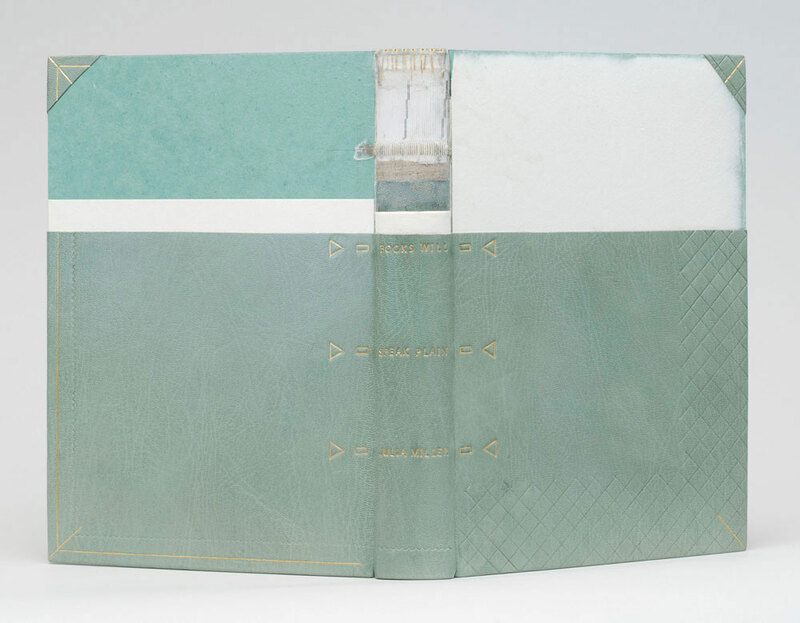 The grass imagery is inkjet printed on polyester film and bound on either side of the panels creating a double-sided variation on the flag book structure. 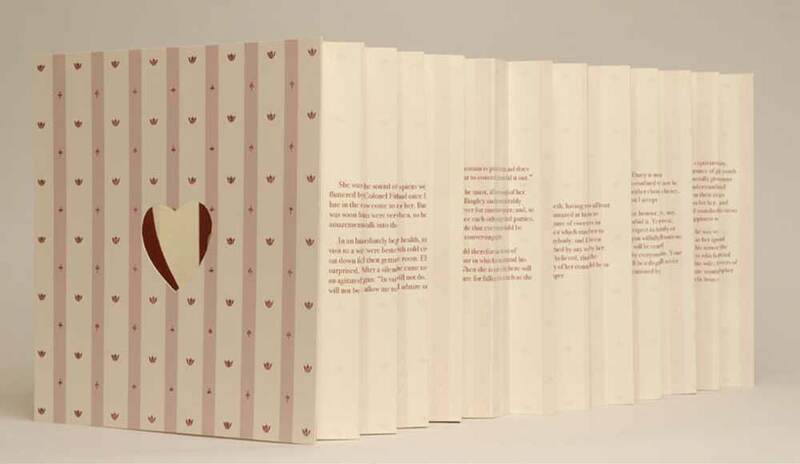 As you open and close this book a nice rustle is created by the movement of the pages. It’s quite simple and beautiful. Inspired by the work of Hedi Kyle, you have, on several pieces used the flag book structure. How does this structure best represent your concept? Women and Cars by Susan King was among the first artists’ books I saw, and it has remained an inspiration. King’s use of the flag book structure gave me a model for everything I wanted to accomplish when making a non-codex book. 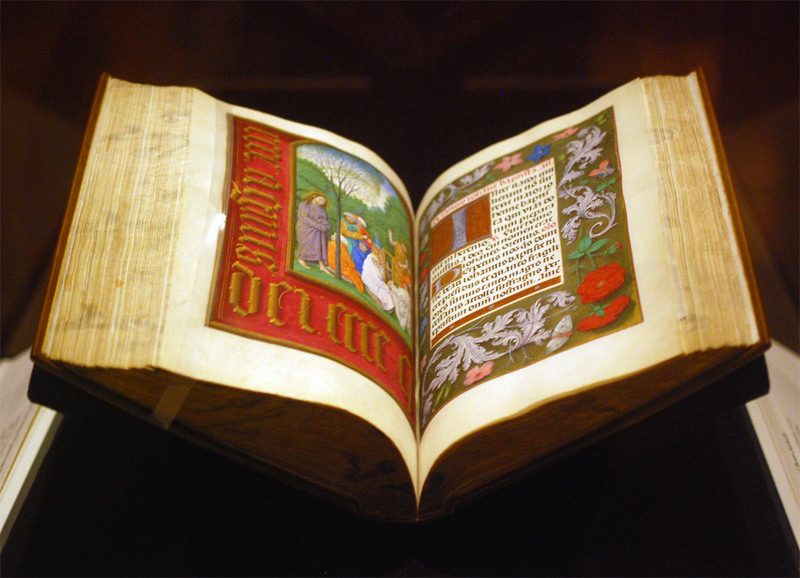 It pairs multiple narratives with photographs, can be held in the hand and read like a traditional codex, opens fully enough to look commanding and compelling on exhibit, and gives viewers enough to enjoy that they will not focus on the book being printed digitally if that is an issue for them. The Bonefolder chose flag books as the theme for our 2008 online Bind-O-Rama exhibit. Although my previously editioned flag books were quite elaborate with multiple texts and imagery on inside and outside of the spine and boards, Bluestem appeals to my minimalist side. 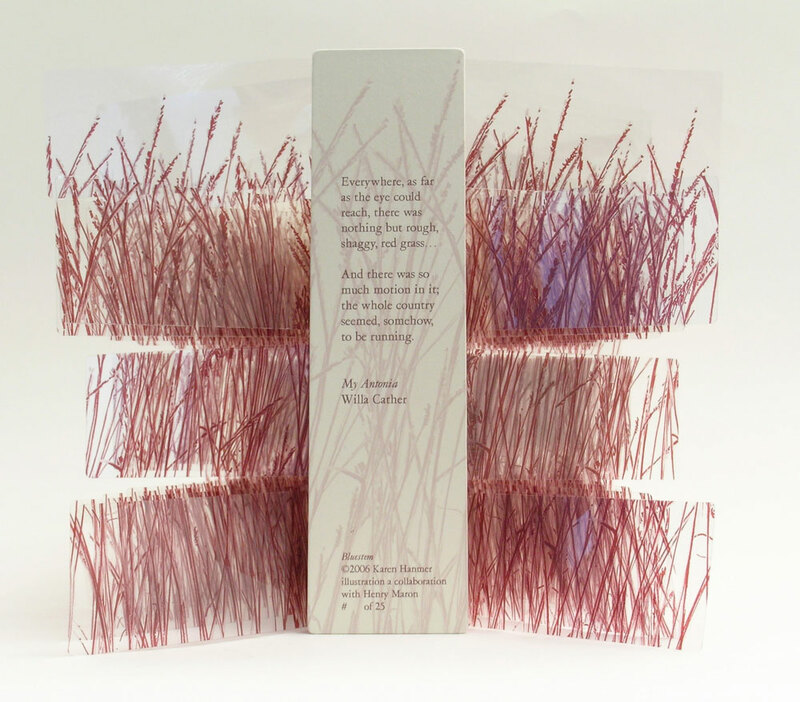 There’s almost nothing there: just a few words of text from Willa Cather’s My Antonia on the rear board and lines representing grass printed on clear polyester film and paper, yet the piece also effectively represents the boundlessness of the prairie. 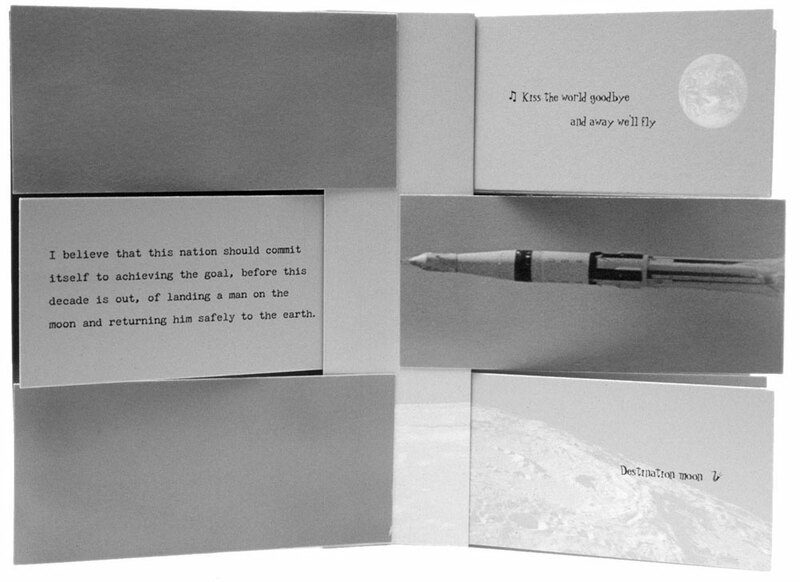 Created in 2003, Destination Moon, is another simple flag book structure that involves a complex layering of material related to the moon. Archival images pertaining to the Apollo Manned Space Program are on the reverse of John F. Kennedy’s “Man on the Moon” speech in addition to the song lyrics for Roy Alfred and Marvin Fisher’s Destination Moon, about a romantic journey to the moon. 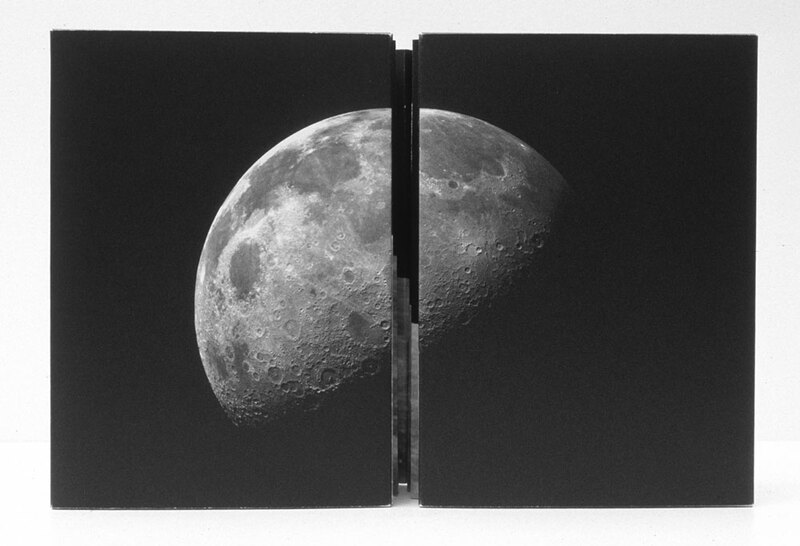 But when the book is fully opened, all the viewer sees is an image of the space shuttle on its way toward the moon. 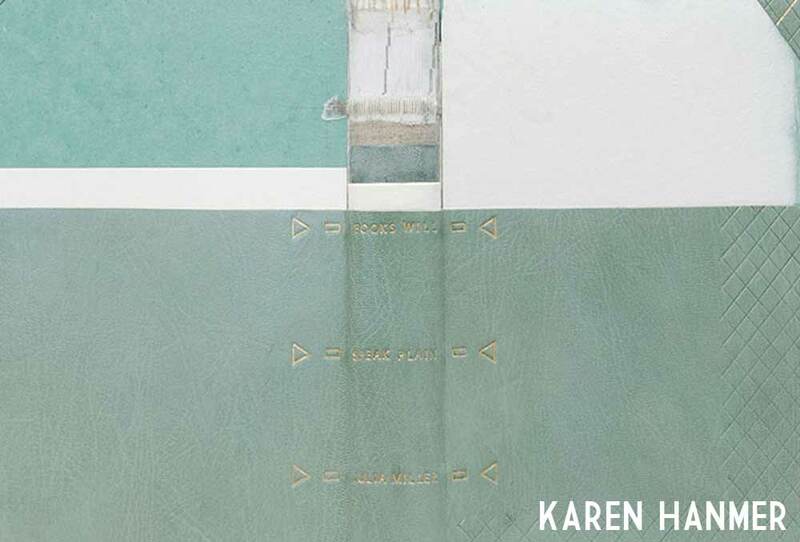 Besides the flag book, Karen has played around in a variety of movable and folded structures. 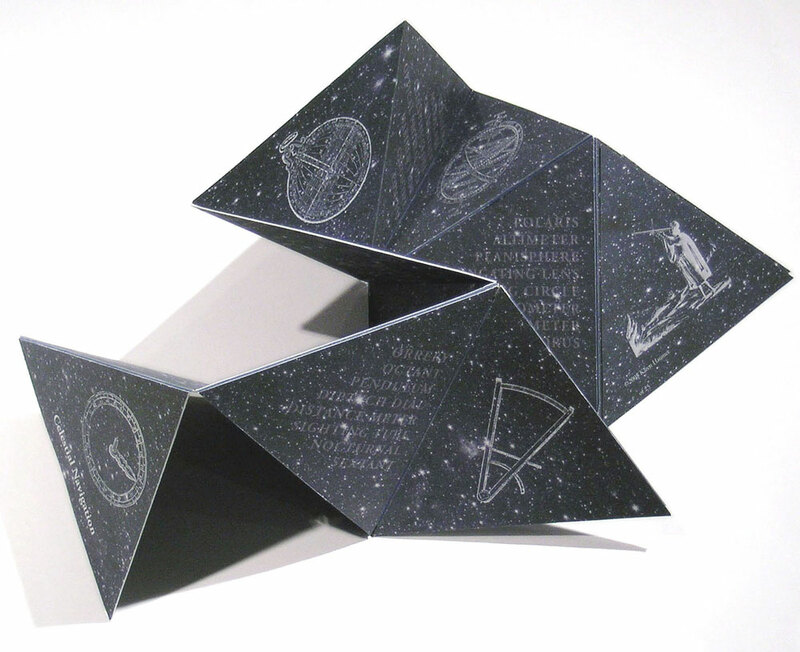 In her work Celestial Navigation, the triangular pages can be held in the hand and read like a traditional book or unfolded to reveal star charts. The structure is quite playful and can be folded into fantastic sculpted shapes. In Pride Prejudice Passion: Tunnel of Love, Karen appropriately uses the tunnel book structure. This works combines text from the classic romance novel by Jane Austen with images cut from covers of the modern romance novel. As the term suggests, the content can be viewed through the length of the structure, similar to peering down a tunnel. Beginning in December, interviews will be back starting with the wonderfully talented Karen Hanmer. Come back on the first of December for the interview. 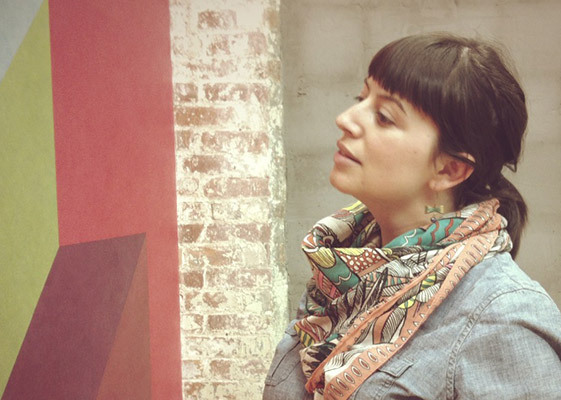 Throughout the month, I’ll be featuring Karen’s work and asking her a brief question about each piece. I received a lot of intriguing suggestions for future interviews from past interviewees. 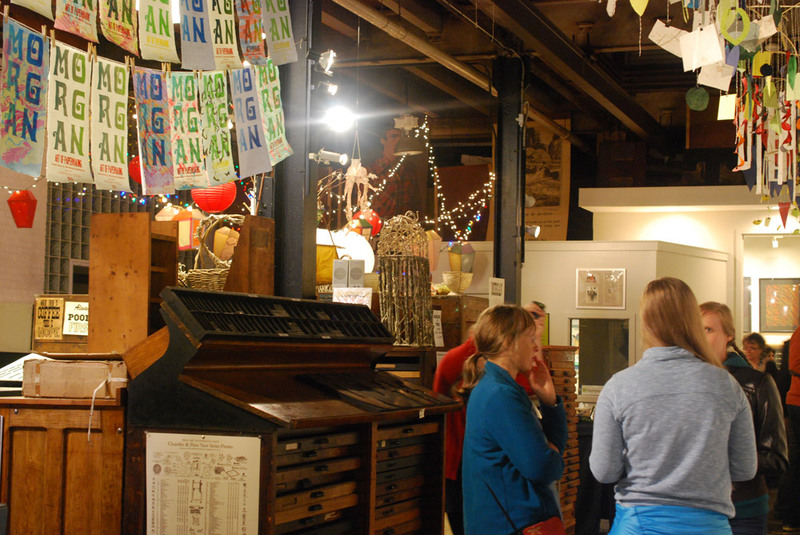 So stay tuned each month for more thoughtful and in-depth interviews with bookbinders, book artists and more. 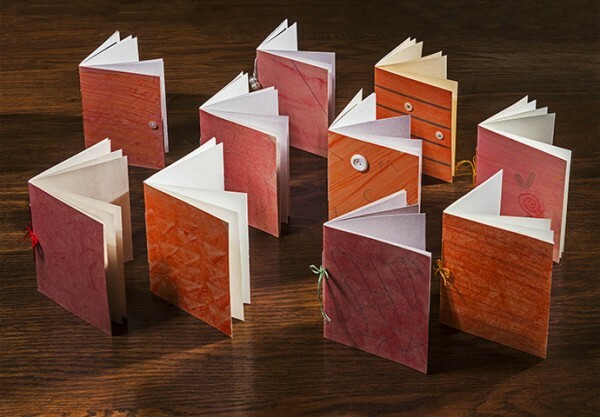 Members of the New England Chapter of the Guild of Book Workers recently bound copies of Book Art Studio Handbook, a practical guide to bookbinding co-written by Amy Lapidow and Stacie Dolin. This handbook is filled with great tips on setting up a studio, buying tools and plenty of projects that vary in complexity and skill.